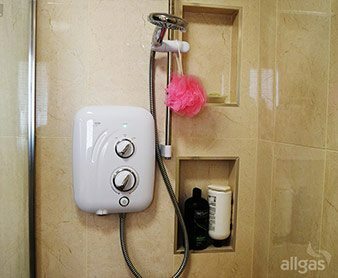 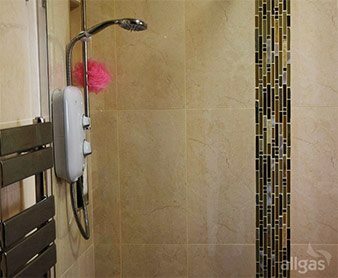 Wet rooms are very suitablefor people with mobility difficulties. 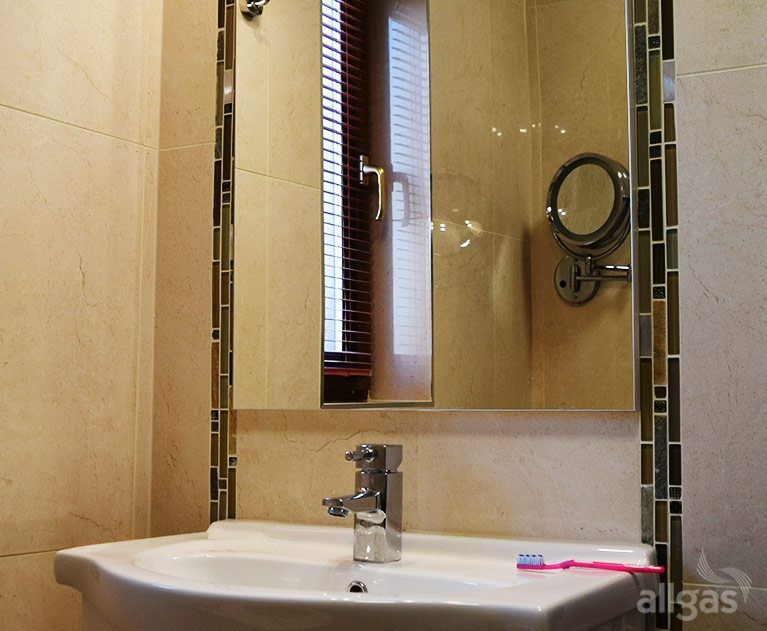 This wet-room was created in a very small bathroom in a cottage in Dublin’s inner city. 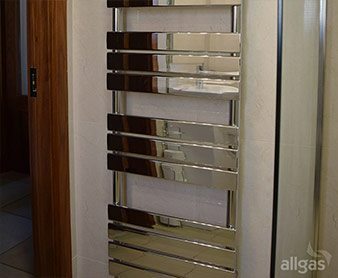 The customer wanted easier access to showering facilities. We buried all the wastes below the concrete floor and recessed all pipe-work to give maximum space. 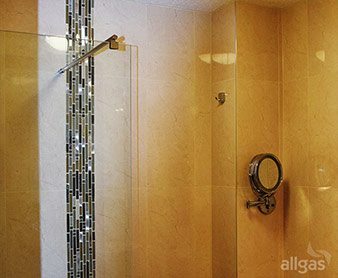 We installed non-slip beige floor tiles and contrasted these with bright cream ceramic wall tiles with a dramatic vertical mosaic border in the shower area. 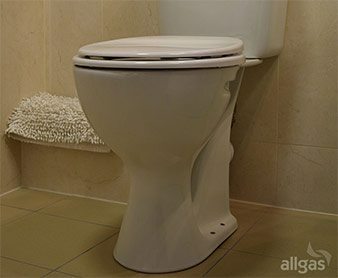 A comfort fit high level toilet to aid accessibility was installed together with a white vanity unit for storage. A large lighted mirror above the vanity unit is used to give a more spacious feel in this small bathroom.